The commercial facade renovations along Pendleton, Oregon’s “Main Street” is a an example the VMWP’s of contemporary design using traditional proportions and features to create a variety of dynamic facades which “speak to one another” while maintaining their individuality. The facades include new storefronts and recessed entries patterned after the towns traditional retail shops, while the steel and glass canopy awnings provide a contemporary character and protection from the elements as one window shops. 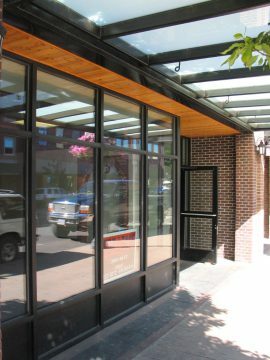 The new brick facade, in a traditional style, is accented by a unique artistic pattern which provides visual interest and opportunities for accent lighting and custom signage. Steel blade signs, and custom lettering continues the contemporary detailing of traditional elements or feature. 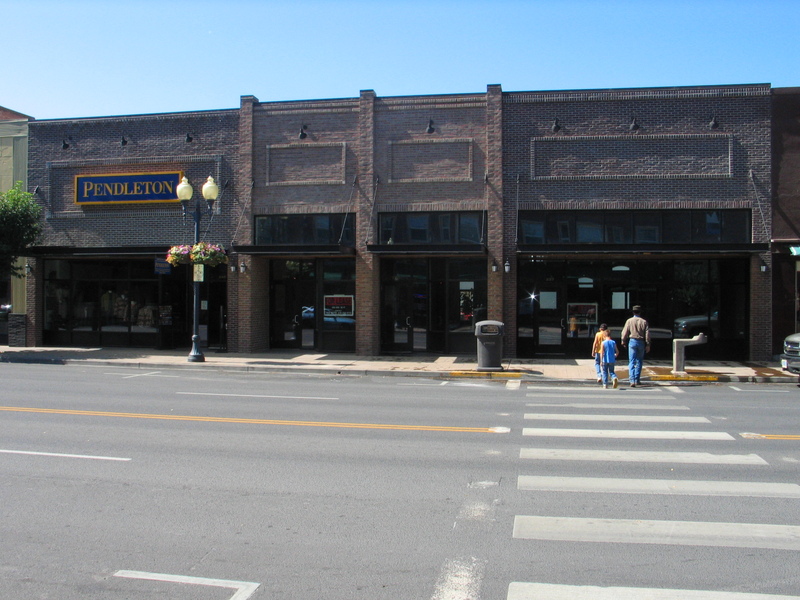 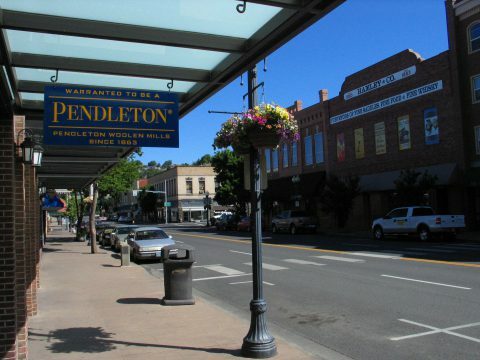 The buildings have been in the owner/client’s family for over 100 years and they received funding through Pendleton’s Main Street facade improvement program. 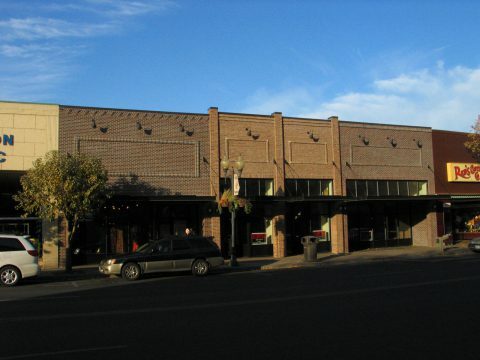 Contemporary design maintaining the character and quality of the historic fabric.